Dry air can be a problem in almost any home, but it is most common in semi-arid climates and those that require forced air heating during the cooler months of the year. In fact, during the winter months, the combination of cool, outdoor air and forced furnace heat can cause your home to be drier than the Sahara Desert. The respiratory infections caused by cold and flu viruses are a leading trigger of asthma in children. Plus, cold, dry air on its own can aggravate asthma. Static shock and dry itchy skin, eyes and throat can all be traced back to air that’s not properly humidified. But that’s not all. Dry air can cause structural damage to your home and possessions, the result of which can be quite costly. 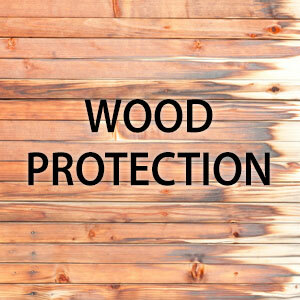 It can cause walls, woodwork and hardwood floors to crack. And those annoying static shocks? They can cause irreparable damage to your electronic equipment. Then, there’s the impact that dry air can have on your energy bill. Dry air can actually make you feel colder at normal temperatures, causing you to overheat your home. According to the Environmental Protection Agency, for every degree you heat your house, you add four percent to your energy bill. Protect your family and your home from the unhealthy and damaging effects of over-dry air. Dry nose, cracked, itchy skin, and sore throats. Aggravated allergy and asthma symptoms. Painful static shocks. Chipping paint and plaster. Splitting or cracked wood floors, furniture, trim and molding. Sound familiar? Why go through another season with these problems when there is a solution—a Whole-Home Humidifier. 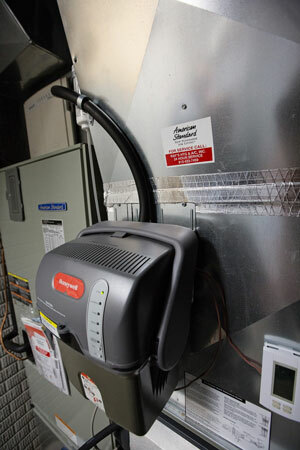 Turning your temperature up in the wintertime will keep you warm but won’t increase your home’s humidity level. Daily activities such as showering, cooking and doing laundry don’t produce enough moisture to keep your home’s air from being too dry. According to medical experts, many viruses thrive in low humidity increasing the likelihood of catching colds, flu and upper respiratory ailments. The American Society of Otolaryngology even reports that it is important to prevent an overly dry environment because it makes people more susceptible to infection. Humidifiers are commonly used in homes to relieve the physical discomforts of dry nose, throat, lips, and skin. The moisture they add to dry air also helps alleviate common nuisances brought on by winter heating, such as static electricity, splitting woodwork, and cracks in paint and furniture. If too dry an environment is your problem, consider a humidifier. Clues like awakening with a sore throat, dryness in your nose, or even a nose bleed are signs of too little humidity. Interested in a Home Air Humidification Solution? Get with the Indoor Air Comfort Specialists at Ray’s so we can recommend the best fit for your home. Schedule your FREE IN-HOME CONSULTATION today by calling 812-423-7459 or Schedule Online!